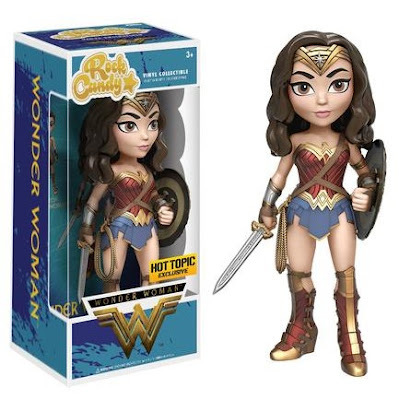 To commemorate the release of the new DC Comics live action Wonder Woman film, Hot Topic is teaming up with Funko to release this super rad Wonder Woman Movie Rock Candy vinyl figure! The Blot loves how detailed this new Rock Candy figure is, with Gal Gadot’s Wonder Woman coming with her signature golden lasso, a sword and a shield. Each Hot Topic Exclusive Wonder Woman Movie Rock Candy DC Comics Vinyl Figure stands 5” tall and comes packaged in a full color window box perfect for display.